I love the little curls she is getting in the back..So cute. This is just beautiful. And how cool that she isn't eating them! I love her little finger sticking out. Marshall would have had that thing in his mouth so fast! 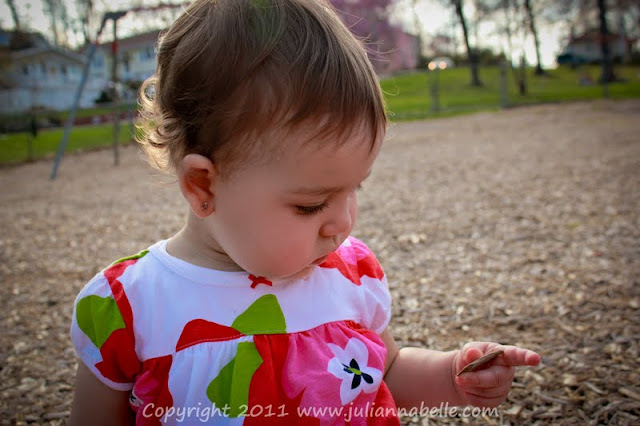 Julianna is 11 months old ! !